Intricate prints and a gorgeous color palette combine to create this attractive and sophisticated fashion piece from Johnny Was. 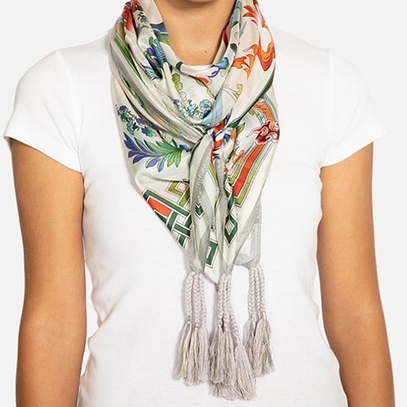 This scarf adds an elegant yet powerful statement to any outfit. 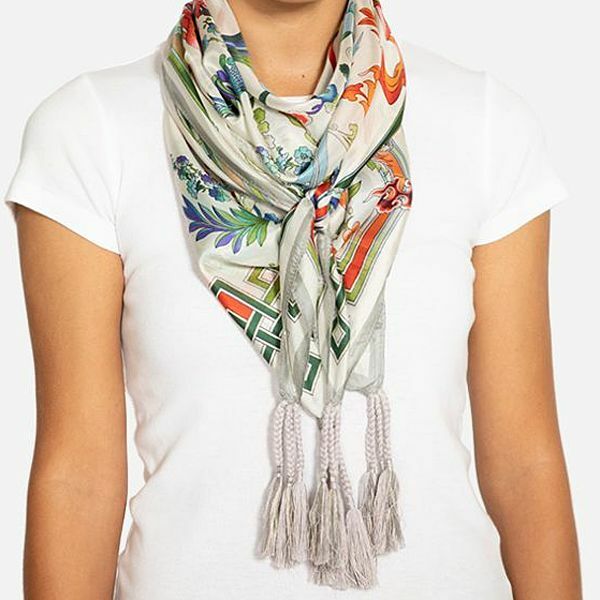 Made with 100% silk, this scarf feels as great as it looks. Hand wash in cold water and air dry. 42� square.